This one goes to my eldest son, who asked, “Why don’t we freeze watermelon cubes?” And I thought, why not indeed? 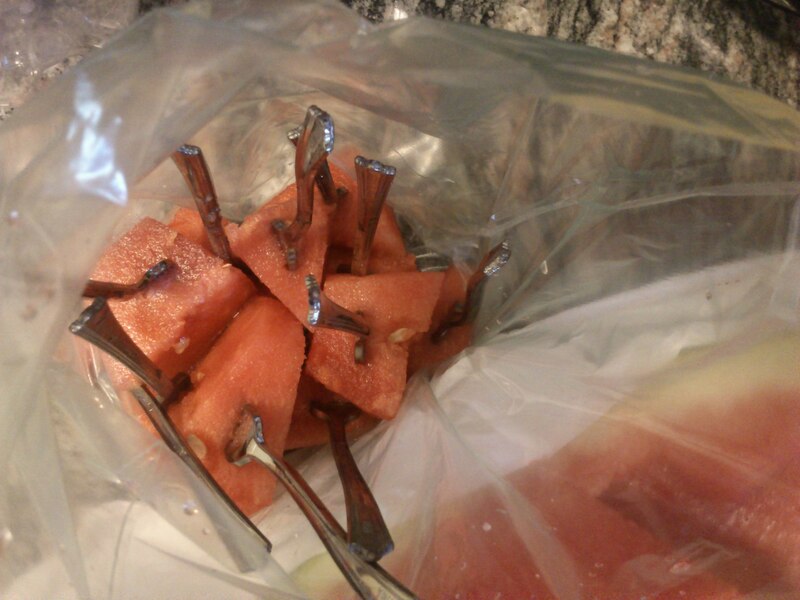 So I put some watermelon cubes in a bag and stuck ’em in the freezer. A few hours later we tasted them for dessert. And they were fabulous!